Spring is soon upon us, and it will be time to think seriously about getting some new chickens! I try to get a few each year so that the egg production can be maintained through the winter, it also allows the older girls to stop producing as frequently or even completely. 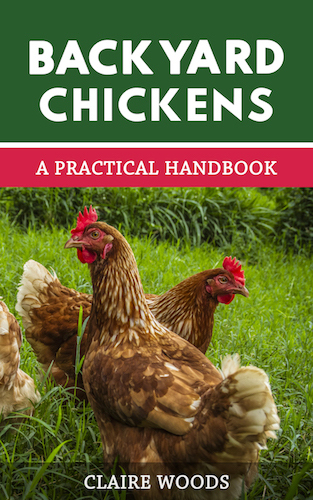 As always, it’s highly recommended you read as much as you can about chickens in general. If you have specific breeds in mind, research them deeply before you decide. Visit several websites, read books- everyone’s experience is a little different. So what questions should you ask if you are new to the chicken addiction? Many breeders specialize in a few breeds only. This is good, economical sense. Breeding chickens might seem straightforward to you and it is if you want ‘run of the mill’ birds. Breeders select only the best stock to sell and this can mean that some of the chicks that were raised will not make the cut- this equates to lost time/money. Can I buy Sexed Birds? Some breeders will not sell just pullets; they will also sell day old chicks. This is important because chicks can be hens and roosters, and many people just want hens. Buying ‘sexed birds’ means that breeder will check to see if a chick is a rooster or hen and you can then choose to buy a certain gender. They may want you to buy a pair or trio of birds which includes a rooster. If you are not allowed roosters in your area, let the dealer know- they may be willing to keep him. If not, it’s probably best to walk away- sadly, roosters in search of a home are a dime a dozen. Is the Breeder NPIP Certified? This National Poultry Improvement Plan can vary in requirements from state to state, but generally the breeder has agreed to have their birds tested for certain diseases to ensure disease free flocks. If you want to show birds, breeders are hands down the source. They usually have ‘show’ quality birds and ‘utility’ quality birds. You will pay premium for show quality. Make sure you ask them what their heritage is and which of their breed they have shown before. Taking care of show birds is time consuming and requires a huge dedication on your part. If you are expecting to simply take the bird to a show, you are in for a surprise! Show birds are pampered- washed, shampooed, blow dried, feathers are oiled and so on. As much as I would like to show some of my birds, time is short, so it’s not going to happen any time soon! How old are the Chicks? Not hugely important, it just gives you an idea of how long it will be until your first egg! Generally speaking, the older pullets will cost more because they have required more care and are nearer point-of-lay. What Sort of Personality Does the Breed Have? As an example, Rhode Island Reds can be very pushy birds, so might not do well with Orpingtons or other placid birds for instance. If so, what vaccines have been given and you will need a copy of certification. 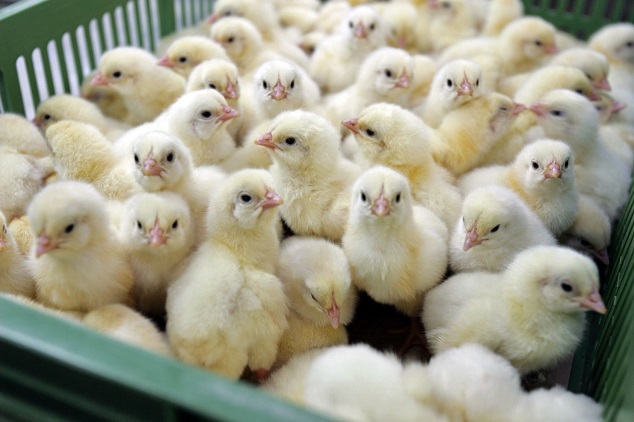 It is common to have chicks vaccinated for Mareks disease. Are there any Climate Restrictions/Recommendations? Birds with feathered feet such as Brahmas, require extra care for their feet if you have wet or muddy ground. Silkies also require extra care in muddy or wet conditions. Some birds don’t do well in extremes heat or cold, so make sure you take your local weather into consideration. What Feed Are They On? If the chicks have been raised on a particular feed, it is wise to get a bag from the breeder if possible. You should transition them from one particular feed to another slowly. Are they having medicated feed (coccidiostat) or not? Should they have a coccidiostat in their feed? Check with the breeder to get the answer to this very important question. If they have been vaccinated against coccidiosis, they should not have medicated feed. 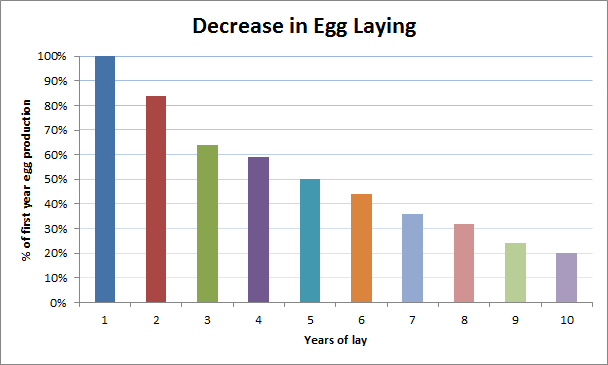 How many eggs can you expect from your pullet and for how many years will they lay eggs consistently? Are the hens known for broodiness? What color eggs do they lay? White, brown, blue or varied? These questions have hugely variable answers because each bird is an individual. The best the breeder can do is give you an approximation of what to expect. You have your coop ready, but always check with the breeder if you are unsure of how many birds you can accommodate. You can fit more bantams into a 4×8 space than you can heavy breeds, but the eggs are smaller. Think carefully about what you want. If your flock is going to be pastured, the space required can be slightly less than optimal, since the coop will be for sleeping only. Certain breeds such as the Ancona, Buttercup and Catalana do not tolerate confinement well. They also may be reluctant to use the coop, preferring to roost in trees at night. This is far from ideal if you have predators in your area or if you live in town. The neighbors might frown on having chickens roosting in their yard! Some breeds try to avoid human contact, so if you are looking for a friendly breed you won’t be pleased with a ‘flighty’ bird. If you have kids, the friendly breeds are much better and easier for children to handle. Breeds such as Barred Rocks or Speckled Sussex are perfect for 4H projects too! Polish or Top hat hens can have their head feathers plucked by other hens and occasionally need the feathers trimmed so they can see! For more, make sure you read 8 Questions To Ask Yourself Before You Get Backyard Chickens. Where Should I Buy My Hen? Now you know which questions you should be asking, let’s take a look at where you can buy your hen from. Many people get their chicks from farm stores. There are a couple of drawbacks to this method of selection. Firstly, they will likely be ‘straight run’- that is unsexed. 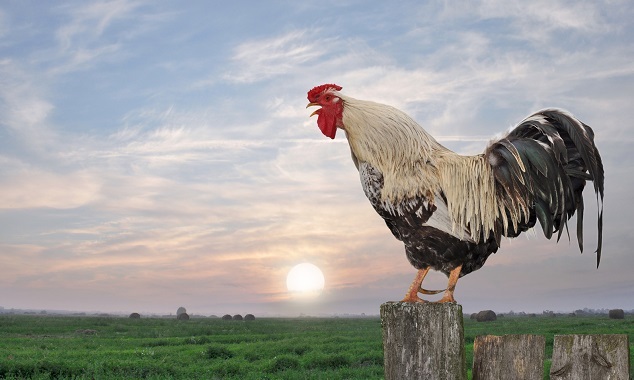 You have a 50/50 chance of getting a rooster. This could be a problem if you are zoned for ‘no roosters’. Secondly, they can be subjected to all sorts of stress and respiratory germs in the atmosphere of a general store and may be brewing an illness. Thirdly, you are unlikely to know whether or not they have been vaccinated or even if the hatchery has a clean bill of health. If you buy directly from a hatchery you can order pullets only if you wish. You can also get them vaccinated against Mareks etc. if you so desire and you can almost always get the breed you want. The downside to this is an ethical dilemma- all the unwanted roosters are generally killed at day one. I didn’t know this when I started out, but since learning this I have bought from breeders only. Please note that hatcheries in general produce utility stock, rarely do they produce heritage breeds, hatcheries are usually cheaper too and they have many breeds available. 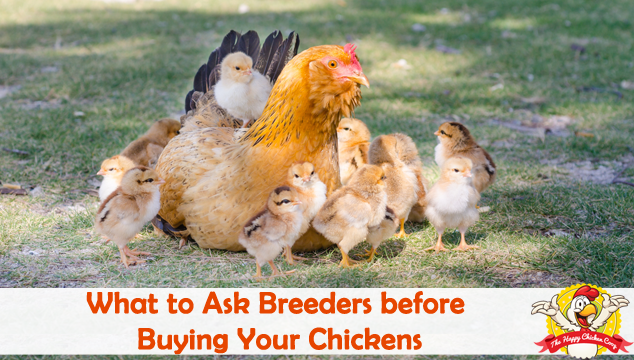 If you prefer to buy from a breeder, know that you will certainly pay more. The majority of breeders care about their birds’ welfare and put a lot of work and effort into caring for and breeding good quality stock. Most responsible breeders will happily guide you with your purchase, giving tips and suggestions for care, feed and a host of other things. Importantly, you will usually get to see what you are buying and possibly pick which birds you want. Quick tip- don’t pick the chicks that are sitting quietly! You want the rambunctious ones that are running all over the place! 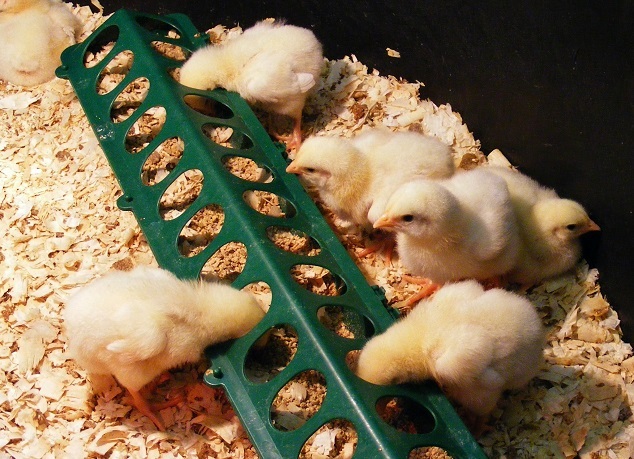 Buying your stock from a breeder can be more expensive than the farm store or hatchery. This is usually money well spent since the birds will be of better quality and health. The vast majority of breeders are caring, responsible people, but there is an occasional rogue. As always, I urge you to do your homework. Check out the reviews and ask around. 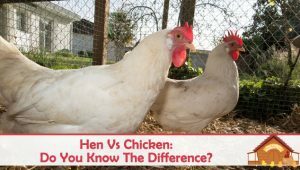 As we have mentioned in our pullet or hen article, people love to talk about their birds and will help you towards getting your flock up and running. You may be fortunate enough to find a good breeder right down the road! Not everyone advertises- some rely solely on word of mouth reputation. These are usually the folks you want to meet! Good luck- have fun with your chicks! They are a source of stress relief, smiles and wonder- not to mention eggs! 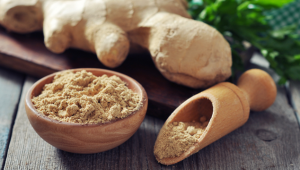 Should You Be Feeding Your Chickens This Superfood?